Fitness For The Rest of Us: Coral LLC Natural Calcium Gummies For Kids: Calcium, Vitamin D3, and 73 Other Minerals! 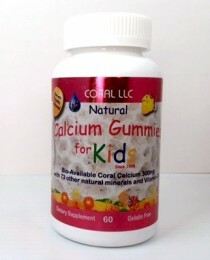 Coral LLC Natural Calcium Gummies For Kids: Calcium, Vitamin D3, and 73 Other Minerals! 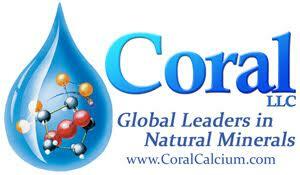 Coral Calcium is a brand I know & trust. They have so many amazing products and I am about to tell you about one more: Coral LLC Natural Calcium Gummies for Kids! They are kid (and adult) tested and approved! These tasty gummies are filled with bio-available coral calcium, vitamin D3, and 73 other natural minerals. Coral LLC always uses environmentally friendly harvesting of fossilized ocean coral as not to disturb the coral habitats. Keep reading to learn more! Especially designed for kids, Coral LLC’s Natural Calcium Gummies offer 300 mg of bioavailable calcium!! As always, Coral LLC's calcium is derived from EcoSafe, above-sea coral. 2 of these tasty gummies provide 40 percent of your childs recommended daily value of calcium and 500 IU of Vitamin D3 , which is 125 percent of the recommended daily value. Calcium in conjuction with vitamin D help support healthy bone development, teeth and metabolic function. Additionally, the distinct nature of coral calcium brings with it 73 other natural minerals beneficial to good health. These are vitamins that you can feel good about sharing with your family-they contain all-natural colors and flavor and are also gluten-free, wheat-free, dairy-free, soy-free, gelatin free and non-GMO! The delicious taste will please both children and parents alike-yes I snuck a few for product testing purposes! They have a great fruity flavor that is not overly sweet but just right! Coral LLC provides all-natural minerals derived from coral in hundreds of health food stores and health food chains across the country, and the world. They are one of the very first above sea coral calcium company to use environmentally friendly harvesting practices of fossilized ocean coral. This is important not to disturb the under the water coral habitats.